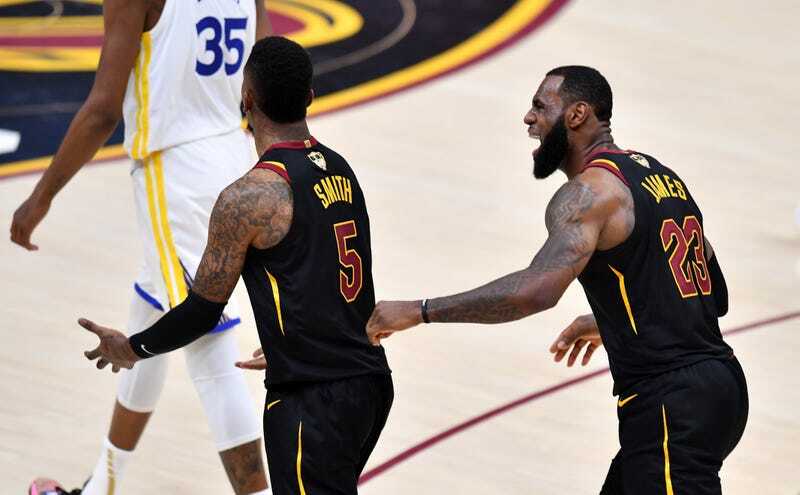 A token of J.R. Smith’s eternal shame is up for sale on the NBA’s auction site. “He played 38 minutes and registered 10 points with 2 assists and 6 rebounds,” reads the very charitable caption. In some sense, this is the greatest piece of LeBron James memorabilia that money could buy.